Alien Explorations: Prometheus : Clock Head from Dark City inspired Prometheus Head? 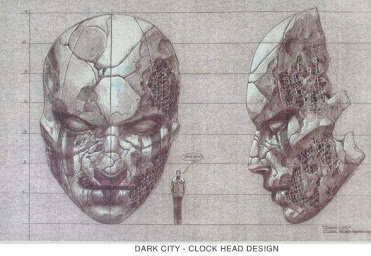 Prometheus : Clock Head from Dark City inspired Prometheus Head? 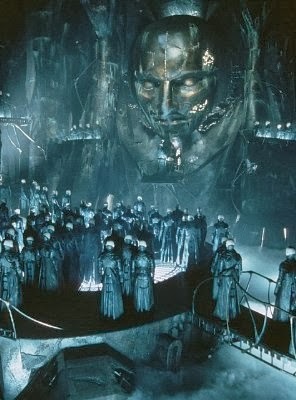 One curious film that came out in the 1990s was a movie called Dark City directed by Alex Proyas. 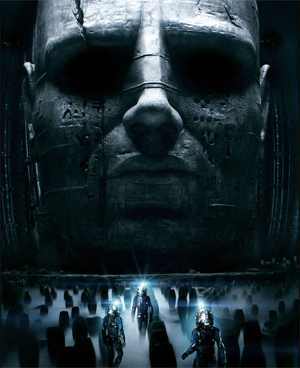 The movie featured a race of pale skinned bald humanoids known as The Strangers dressed in leather who might roughly remind people of the Cenobites from Hellraiser. These entities who controlled the human race in a city that transformed and the lives of everyone living in the city would suddenly transform and they would leave behind their old identities and embrace a new one unless they were able to remain conscious through the process. 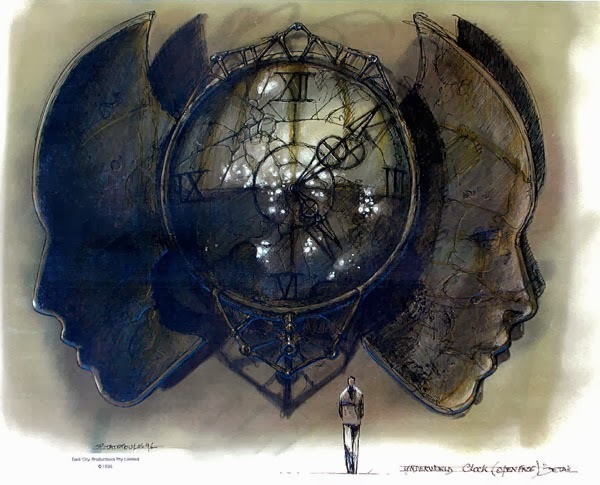 In the movie there was the main environment of the Strangers, a place dominated by a huge head that opened up and contained a clock. 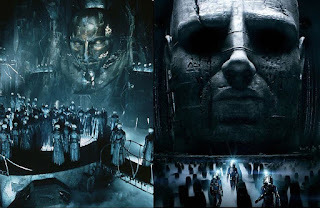 Curious so it seems, Prometheus and Dark City both shared cinematographer Dariusz Wolski, so back in March of 2012, I found myself asking myself about this. In December 2016, Patrick Tatopoulos on his instagram page posted about the comparisons, noting that it looked like an homage but that was just in his wildest dreams. 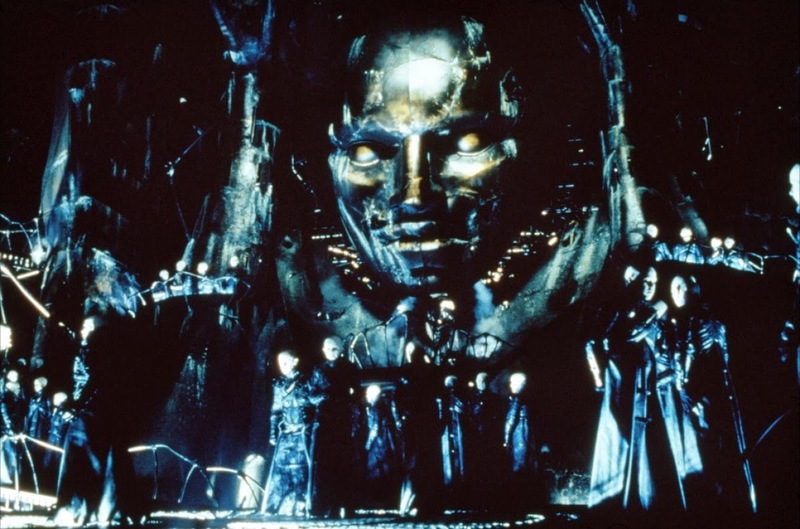 Perhaps at least Dark City put those images out there in the public consciousness and they related to something that Ridley Scott felt needed retelling in his own way.